There may be no time of year that is more exciting than the period stretching from Thanksgiving week through New Year’s Day. The holiday season can provide some of our most memorable experiences. Of course, we also know that the holidays can be extremely stressful. For separated parents with young children, the holidays are especially challenging. If you are currently sharing custody of your children, it is imperative that you carefully plan out your time during the holidays. With proper planning, you can do a lot to reduce stress, ease the tension and avoid potential child custody and child time sharing disputes. 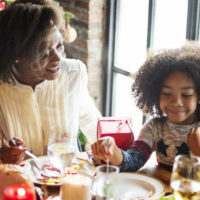 In this post, our experienced Orlando visitation rights lawyer offers four tips to help separated parents prepare for the holidays. Your court approved parenting plan might already include a holiday schedule. Though, if it does not, or if the schedule is inadequate for your family’s needs this year, you should work to create a comprehensive schedule. The more details you include, the better off you will be. By getting a clear schedule down on paper, you can set expectations for everyone involved. Even better, this will give you a chance to discuss disagreements ahead of time. While proper planning is probably the most important step to a conflict-free holiday season, open communication is not far behind. You should work hard to facilitate honest and productive lines of communication with your former partner. The better you are able to communicate, the less likely you will be involved in a conflict over child time sharing. When it comes to issues involving your kids, collaborative solutions always work best. Ideally, you and your former partner can work something out together. In some cases, you may be able to do this informally. In other cases, it may be in your best interests to seek mediation to resolve the issue. Regardless, it is best to try to address any problems or disagreements with a cooperative mindset. Your parental rights should never take a backseat, least of all during the holiday season. If you feel that your former partner is taking advantage of you in any way, whether it is the failure to come to a reasonable agreement or the inability to stick to their end of the holiday visitation schedule, you should seek legal help. An experienced Florida family law attorney will be able to review the circumstances of your case and help you determine the best way to protect your legal rights. At the Law Offices of Steve W. Marsee, P.A., our compassionate child custody attorney has helped protect the rights of many parents throughout Central Florida. If you need legal help with your child custody or child visitation case, please do not hesitate to call our Orlando office today at 407-521-7171. Legal consultations are always fully confidential.